Today marks the 20th anniversary of the untimely death of Princess Diana. It was a tragic loss for the world, and her overwhelming kindness, generosity, and beauty will never be forgotten. Did you know that in addition to being an inspiring humanitarian, devoted mother, and fashion icon, Princess Diana was also an interior design maven? House Beautiful has a lovely feature on how she decorated her private quarters in Kensington Palace. And speaking of British style, I cannot get enough of Alice Naylor-Leyland’s English country home, as featured in the September issue of Architectural Digest. Alice’s friend, model Poppy Delevingne, commented that she hadn’t seen that much chintz since she was last at her grandmother’s house. Chintz is officially back, and 30-year-old Alice’s home is proof! “I like using chintz and florals because they haven’t been seen for a while so, ironically, they look fresh and new,” Alice said in another interview. Furthermore, the July/August 2017 issue of Veranda has a three-page feature “In Defense of Chintz,” which you can read below… My prediction is that we are on the verge of a full-on 80s/90s comeback, and as a child of that era, I could not be more thrilled! Bring on the chintz, passementarie, ruffles, and bows! Truly, these things are like chicken soup to my soul, nostalgic of a simpler era in the midst of today’s troubling times. If you love all things chintz and Mario Buatta (the reigning Prince of Chintz), you won’t want to miss my interview with Patricia Altschul. The legendary designer has decorated four of Patricia’s homes, and she provided her insider tips for creating a timeless home exclusively with The Glam Pad this summer. Patricia has also been named among The Salonniere 100‘s list of the nation’s best party hosts, and she shared her entertaining tips with the publication earlier this month. I love auctions, and Gone with the Wind is one of my favorite movies, so I was excited to hear that actress Vivien Leigh’s personal belongings will be available through Sotheby’s on September 26 in London. Included in the survey are a gold ring from Leigh’s second husband Laurence Olivier, a diamond bow pendant, her wig worn for the film A Streetcar Named Desire, a sterling silver cigarette box, and a Gone With the Wind script. This photograph captures Vivien Leigh on the staircase at Durham Cottage, her London home, in 1949. The floral subject of Jacob Epstein’s “Peonies,” visible in the background, is in keeping with Vivien’s love for flowers, and will be included in the The Vivien Leigh Collection at Sotheby’s. From September 12- 14, Christie’s Paris will offer The Collection of Alberto Pinto, featuring objects from the legendary designer’s Paris apartment including art from the Renaissance to the 21st century, silverware, European and Asian porcelain, and linen. Ornithological table service in porcelain, Paris, 19th century. This lot is offered in Collection Alberto Pinto September 12-14, 2017 at Christie’s in Paris. This month, Julia Berger, founder of Julia B. fine linens, expanded her line to include the exquisite Quattro Mani Table Top Collection. Julia brought together three of the world’s leading producers of hand-designed plates, crystal ware, and silverware, all completely dedicated to the old world traditions of hand design and handmade production. Each of the Quattro Mani designs was initially inspired by vintage collections of Julia and her friends (including style icon Lauren Santo Domingo.) Almost every piece has the option of monogramming. The collection is a limited edition with only 499 complete sets available exclusively through MODA Operandi, and the sale ends October 3. New designs and partners will be offered each year. The four collections are named after Julia’s favorite Italian destinations and as a special tribute to the Italian heritage – Como, Firenze, Roma, and Venezia. The Roma collection is pictured above. Stacey Bewkes has also partnered with Susanna Salk to create At Home with Dogs and Their Designers: Sharing a Stylish Life, a delightful new book available for preorder now and on store shelves in October. The book features the homes of 22 A-List interior designers and includes interviews with their dogs, giving us insight into the luxury of their daily lives from their favorite places to sleep to their guilty pleasures! It also includes tips and tricks from the designer on ways to live stylishly with dogs. Featured humans/interior designers include Martyn Lawrence Bullard, Nathan Turner and Eric Hughes, Jeffrey Alan Marks, Mary McDonald, Betsy Burnham, Kelly Wearstler, Schuyler Samperton, Brooke Giannetti, Hutton Wilkinson, Windsor Smith, Mark D. Sikes, Jonathan Adler, Steven Gambrel, Katie Ridder, Alex Papachristidis, Robert Couturier, Charlotte Moss, Bunny Williams, Carolyne Roehm, Brian J. McCarthy, and Michelle Nussbaumer. If you are looking for designer furniture, Best Prices for Furniture can help. They get price quotes on high-end furniture for shoppers from multiple discount retailers, so stores in their network compete for your business. More than 100 brands are represented including Brown Jordan, Hickory Chair, Lane Furniture, Maitland Smith, and Visual Comfort. Now is the time to order dining room furniture to ensure holiday delivery! The Alexandria Chair, one of Suzanne Kasler’s most recognizable pieces created for Hickory Chair, is available through Best Prices for Furniture. Charlotte & Ivy specializes in curated luxuries for life and home. They are a wonderful source for blue and white porcelain, Chinese Chippendale chairs, lamps, rugs, needlepoint pillows, decorative accessories, gifts, and so much more… all at very reasonable prices! And if you are looking for advice or a special item, Charlotte & Ivy is always available to help. Please visit Charlotte & Ivy to shop the collection. Artist Anne Harwell McElhaney always has the most darling fine art, home decor, and gifts for sale via her Etsy shop Annechovie. 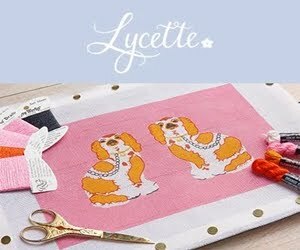 I adore this darling new Staffordshire dog collection, which is available on acrylic trays (as pictured), coffee mugs, mobile phone cases, rugs, pillows, coffee and travel mugs, cosmetic pouches, matchboxes, prints, and more. Please visit Annechovie to see Anne’s entire collection! If you have not already done so, please consider donating to help those affected by Hurricane Harvey. The American Red Cross is encouraging people to donate money on its website or to text 90999 to donate $10. The organization is also asking for volunteers. For additional ways to give, the Houston Chronicle has an extensive list of local and national opportunities for donating and volunteering. Hurricane Harvey is set to be one of the worst natural disasters in American history, and it is critical that we all come together to help those in need.